What is inner resistance and what triggers it? How resistance shows up (weaving in scenarios like finding clients, charging what you’re worth, increasing visibility and feeling like an imposter). What’s REALLY causing your inner resistance. Three-point plan to overcome unwanted inner resistance. We’ll also do an eye-opening hypnotic exercise that demonstrates how what goes on in your mind determines your reality. Trainers will come aware with enhanced self awareness, an understanding of exactly how they get in their own way and a practical plan for how to stop doing it. Caroline Ferguson is a Mindset Trainer, writer and speaker, who works with high-potential leaders who know they were born for something more. She shows them how to develop self awareness and overcome limiting beliefs and habits so that they can reboot their inner game and skyrocket their impact. Whether you are new to webinars or just know that they can be better, join webinar and virtual classroom expert Jo Cook. She’ll explore with you the challenges with live online sessions and how to overcome them with great design, interactive facilitation and the understanding of digital body language. Jo Cook is a speaker, instructional designer and classroom facilitator who specialises in virtual classrooms, webinars and live online learning technology. Jo’s passion is in helping and supporting teams, professionals and organisations embrace the benefits of the virtual classroom. Through her company Lightbulb Moment, Jo has specialised in training learning professionals about virtual classroom design and delivery since 2013 and has spoken on various topics at conferences such as Learning Technologies, Online Educa Berlin and keynoted for Colleges Wales and E-learning Fusion. Jo is also part-time is the Deputy Editor of Training Journal magazine and website and her background includes: further and higher education; the charity sector; small and large organisations, including CNN News and Bupa International. Have you ever thought about getting some PR to grow your business? Maybe you think it doesn’t apply to you or you don’t really know where to start. Help is at hand! Carrie is a PR expert who gets outstanding results. Her clients have been featured on BBC Radio, on the sofa on BBC Breakfast, on BBC News, across the national press such as in the Daily Mail, The Telegraph, and many many more places ! She approaches PR in a light-hearted and empathetic way; unlike many in her industry. She has dyslexia which means she naturally looks at her work rather differently to her peers, meaning that her approach tends to be more intuitive and emotional than logical. Her works literally involves her reaching into her clients hearts and helping them to express their view point on current trends and media stories. For her PR is part story-telling and part opinion-sharing. She has a real strength for responding to what’s happening, often in the moment on Twitter. Her responsiveness has got her clients amazing results; most recently paid gigs for the BBC and with iZettle in London. She is a vegan, a lover of hugging trees and loves nothing more than tea and vegan cake with her close friends and family. She has been known to adore the odd rom-com and soak in the bath too! Carrie is partial to a train-journey and loves taking her friends doggie for a walk! If you would like to understand how to be effective as a networker and find out what it takes to get a return from networking, then this talk is one you won’t want to miss! Networking guru Philippa Constable will enlighten you with her insights into what makes a person a real force in the networking environment. She will share tangible tips, some easy to follow strategies, and equally importantly, tell you how to avoid the pitfalls. This session is for you if you are new to networking, or you want to build more confidence and improve your skills. About: We Mean Biz is the brainchild of Philippa Constable, the well known networking skills expert and founder of the acclaimed Women Mean Biz networking organisation which she launched in 2007, and is now the largest business networking platform for professional women in the South West of England. Having taken two start-ups from zero to success whilst bringing up two children, she understands the challenges that women and men face with networking and in business, and she’s passionate about helping people in business succeed. Philippa has years of experience and research into how people can get the best out of business networking. Having been a member of business development schemes and networking organisations herself, she wanted more than what was on offer. She’s developed a format that’s proved successful for hundreds of men &amp; women, whether in business for the first time or with years of experience. Philippa has successfully written and runs her own workshops and training in business networking skills, teaching business owners and managers how to network with authenticity and get great results. She believes that most people don’t understand what ‘real’ networking is truly about, and is on a mission to educate people on how to network effectively. The biggest problem a trainer can face when running their own business is making enough sales. Although customer service, delivery & countless other areas are crucial, the reality is, none of them apply if you are not making enough revenues. In Pete’s (very honest) talk, he will share his journey from sales struggle, to booking more than 180 training days per year and switching from 90% associate work, to 90% direct and ideal clients who he LOVES to work with. More importantly, he’ll discuss the top ways you can create your dream trainer business too. Pete is the first to admit he’s not perfect, but actually, it’s in taking imperfect action that also allows you to bring the results you want. Pete Scott is a sales transformation specialist. How he helps businesses & entrepreneurs take their sales to the next level is through training, consulting & helping to form a sales strategy that works for selling in today’s market. Starting his business without enough money to cover rent the following month, he had no choice but to make it work! His first month consisted of making 2223 calls to companies to see if they had an interest in sales training. 11 meetings later, he had his first four paying clients. Now, four years on, Pete has worked with hundreds of companies and many more entrepreneurs in the U.K and abroad. On his business journey, he is the first to admit he’s made lots of mistakes, some small and some big! His best friend sued him but that’s another story. At Trainer Talk Live, he’ll be speaking on How to Solve the Sales Problem. Pete’s belief is that sales is the highest priority in running any business. Without sales, you don’t have a business, but with an effective sales strategy, you can create a business ‘and life’ you love! Getting your terms of business or associate terms sorted out is something we all put off. You know you need them but it is tempting to put off doing them or copy them from someone else and hope for the best. It’s not just about compliance – it’s about creating ways to enhance and secure your business in a friendly but clear way. She believes that a REAL agreement should take account of your brand and the type of relationships you want to create and give you flexibility and choices when you really need them. It should also protect you from nasty surprises. Are you found for what you do or your name? Does it make a difference? In this talk with Sarah Arrow, you’ll discover the power of business blogging and how it will fill your sales funnel with leads. 2. Business Blogging Why Bother? 3. Top of funnel content – why does this matter? Sarah Arrow is an expert in content creation, particularly top of funnel content. Her superpower is blogging. She leveraged a blog to save a transport business from the credit crunch, and is renowned as a content marketing expert worldwide. Forbes have listed her websites as “top websites” for 3 consecutive years (she’s the only Brit on the list). Onalytica say she’s a top social media influencer, and Brand Republic and the Guardian say she’s a top UK online influencer. As far as Sarah is concerned, she’s just helping people achieve their goals. Its spirit…it’s a verb. It’s maximising who you are and what you are capable of. It’s being braver. The consequences of not having it? Self-doubt, complacency, coasting, watching other businesses and people do better than you. Imagine what you could achieve by applying courage, grit, a hint of that gutsy, adventurous feeling every day. All by being the best of you. In the workshop you’ll explore how to be the best of yourself & unlock more courageousness to drive business & life success. We’ll establish what stops you from being the best of you. iAM – A dive into you. Maximise your energy, drive, performance, influence, impact & mood! Outcomes – You’ll leave with a potentially life changing perspective of yourself & what you are capable of, an action plan for maximising you in your world & an increase in your resilience & confidence. Liz is a non-conformist, global leader in change, spirit, performance and authenticity and is passionate about revealing the courageous successful person inside every one of us. For over 10 years she has worked globally with people in all manner of job roles, shapes and sizes to transform businesses and lives for the better. Liz’s style is energetic, inspirational, challenging & rebellious. Anyone in the world of selling, whether you’re selling a product, experience, or yourself, you need to connect with your audience. You need them to buy into you as a person before they’ve even met you. The best way to do that? Video. The problem is, hearing the words ‘You need to make a video’, can make you break out in a cold sweat. “What if I look stupid?”, “What if I don’t say what I want to?”, “What if people think I’m a fraud?”. These are common concerns – they’re also self limiting beliefs. Getting confident in front of the camera enables you to get your message out into the world in authentic and convincing way. In this talk, you will learn tried and tested methods and tools to equip yourself with to enable you to really shine in your videos, as well as some pro tips on how to make your mind blowing film, and where to put it for the biggest impact. Asher Hardy is a director of Firewood Pictures, a film and video production company in the West Midlands, founded in 2013. In that time, he has directed over 250 pieces of film and video, shot documentary content across the UK and America, and has helped hundreds of business owners, leaders and trainers unlock their potential on camera. With a background in theatre, he has an extensive knowledge of directing and performance coaching that he’s used to bring his clients to the best version of themselves on camera. Introducing The ‘I Gotta Be Me’ Experience! How could showing up differently change EVERYTHING for you in the remainder of 2016? Where do you need to show up or step up differently in your business or in your life – and who do you need to BE to do that? The “I Gotta Be Me” Experience is all about how you are showing up in your world. So much is said, taught and offered to help you DO more in your business, but when did you last take time to really work through who you need to BE, to be the success that you know you can be, in your business AND in your life? Joining us at “I Gotta Be Me” will create the space for you to do just that. Working in small groups, we create the intimacy that helps you to feel safe exploring ‘you’ – so that it really is an experience, not just another workshop or training session. Your business only grows as fast as you do, so we start with what happens when you are ‘in flow’. What’s flow? It’s an optimal state of consciousness where we perform and feel our best. It’s what happens when you are so focussed on what you’re doing, that everything else just falls away. It’s where impossible becomes possible. Our journey together begins with identifying what happens when you’re in flow and with that understanding we create the connections to what really matters for you, who you really want to be and, ultimately, how you want to be recognised and remembered. It really is an experience. You will be immersed in you. It’s an experience that could change everything for you – and I can’t wait to see you there! Sue is a former Nurse and Health Service Manager, with a wide range of experience as a senior manager/leader, and a proven record delivering service improvement and leading complex, large scale change. She was awarded the Masters in Health Services Management from City University, London in 2002 and the LLM in Medical Law from Cardiff Law School in 2008. Sue is a Non-Executive Director with Solas Cymru. Sue is the Director of Magenta Change Ltd, where her love of people, her passion for helping people to ‘do’ change well, and her desire to help people transform their world are hugely important drivers in her professional practice as a Personal Leadership Coach and NLP Master Practitioner. When Sue isn’t coaching you will probably find her absorbed in watching or playing tennis, or lurking in the corridors of the Royal Welsh College of Music & Drama where she is enjoying her latest personal challenge – learning to sing jazz! As Ralph Watson has said – and demonstrated – throughout his successful international career as a Trainer, Speaker and Coach, ‘Success in the training room requires far more than simply knowing your subject and delivering material.’ It requires a depth of connection with every single person in the room; an understanding of the ways in which to motivate your audience at the deepest level and an ability to entertain them consciously AND unconsciously. In his fast-paced and fun session, Ralph will walk that talk as he shows you WHY these things are so important and HOW to do it. Trainer Tip: Watch and model everything you see and hear Ralph do because he walks every word of his talk! Ralph Watson is an acclaimed Leadership Specialist, Coach and Speaker with an international track record of success. To date, he has worked with organisations and individuals from over 30 countries including the UK, Western and Northern Europe, China, India, Russia, Turkey, Sri Lanka, the Middle East and the USA. With a successful business career of over 25 years in a variety of business roles from Field Sales, through Key Account Management to Board level appointment in the IT and Telecoms sectors, Ralph has a wealth of real-world experience and wisdom that he calls upon in his highly solution-focused work with clients. As a Speaker and Motivational Trainer Ralph has a natural flair for motivating people to learn. His style is fun, interactive and gently challenging, enabling people to stretch their comfort zone and learn in a safe and supportive environment. His business background and experience enables him to provide real-world examples, case studies and anecdotes that entertain and stimulate. Ralph also regularly leads open personal development programmes and seminars and recently spoke on Creating Success in Times of Challenge to a full auditorium at the American University in Cairo. Ralph is passionate about the need for true visionary leadership in society and in making social changes possible through that leadership. If you’ve been using email marketing unsuccessfully, or have not yet used it – this session is for you! You’ll discover the massive benefits of email marketing for generating new business and gain clear insight into how to make it work. You will learn how you can quickly generate leads and sales with every email you send. You will find out the fastest way to reach a large number of people with your sales message. Nathan Littleton is an award-winning entrepreneur with a difference. He entered the cut-throat world of business while still wearing his school uniform! So while most of his peers were studying for exams, thinking about university and contemplating a life working for someone else, Nathan was making money, challenging assumptions, asking questions and launching a company that other people would work for. After starting his own business at the tender age of just 12, he has become one of the UK’s best and brightest young business figures, with more experience in the fast moving internet industry than most people twice his age. His precocious talent was recognised early in his career. At 15, Nathan was enlisted to teach web design to students at his school, becoming the youngest ever council employee in the UK. His astonishing expertise in designing and making money from websites has seen him work with some big names, including Aston University, the best of, Apollo Blinds and InXpress. He now employs a dynamic team of designers and developers and won the Institute of Directors’ prestigious Enterprising Young Person of the Year Award. Nathan is now an in-demand conference speaker, inspiring young people throughout the UK to not just dip their toes into the crazy world of business, but to jump right in! Not one to pull punches, his straight talking approach and infectious stories create a powerful ‘can do’ message of hope, enterprise and ingenuity. Would you like to be more successful with your Training business? Would you like to be more focused and motivated? And would like some easy, tried and tested techniques to achieve greater success? This whistle stop tour of the brain will help you to be more successful in whatever you choose to do. Based on modern neuroscience this talk crams 2 million years of evolution into 1 hour to help you understand how your brain works, bringing you the very best practical techniques to Train Your Brain for Success. This informative and fun talk makes the science of how our brain works easy to understand and is highly relevant in every setting from home, to school, to work, to business. You will leave the talk with practical tips to take away and implement straight away so that you can achieve the success you really want in your business. Having begun his career in the RAF, Gary spent a number of years in various sales roles before building his own business running a collection of bars, clubs and restaurants from Leicester to London. After losing it all, Gary went onto work with the team that built the largest joined up business network in the UK, coaching and mentoring hundreds of small business owners and leading a team of 100+ leaders to deliver a productive business networking platform. Recognising a passion for enabling people to achieve more in their lives and businesses and having had his own fair share of self-doubt, Gary trained as a clinical hypnotherapist and now runs his own successful practice in Peterborough. He is the founder of Inspired To Change, the leading provider of solution focused hypnotherapy services nationally where he and his associates use the most modern practical and well researched strategies to effect change for people all over the country. He is also senior lecturer at CHPT Peterborough and Birmingham and has successfully trained dozens of hypnotherapists as well as coached numerous new hypnotherapists to build their practices. In addition, Gary is Director of Growth, working alongside Business Growth Specialist Tamsen Garrie in enACT, the business growth platform for small businesses. Find out why Linkedin is becoming so important and how you can use it effectively to build better relationships online. Andy will be sharing simple strategies that will help you to achieve your goals. Tips on crafting the perfect profile to magnetically attract your ideal prospects. Yes, they actually come to you! How to rapidly build a valuable network of quality prospects that want to do business with you. Plus a simple way of managing them so that you never miss another opportunity. You’ll discover the secret magic messages that all you to connect with ANYONE! Andy is a leading Business Coach, Speaker & Author who has coached 100’s of Business Owners & corporate Directors to greater profitability, more free time and successful relationships across their business and personal lives. He has addressed audiences such as the Institute of Directors and international audiences throughout Europe and as far afield as New Zealand. The simplest business plan that works for any size, shape and style of business. Mary shares her wealth of experience as an award winning business coach and as a business owner. Having tried all types of business plans and goal setting systems she’s helped countless business owners create the right plan for them using a simple one page, 9 box model – the Nine Essential Elements of Business Success. Mary is an award winning business coach and Professional Speaker and has many years experience of running several successful businesses. She is passionate about sharing her enthusiasm and skills to help business owners grow their business, increase their profitability, save money and have more time for their real priorities. I am Director of Saltbox Training & Events which I set up in 2009 to help individuals and companies to perform better, achieve more, and be happier and healthier. Saltbox provides training and development services which increase people’s self-awareness, skills, confidence, motivation, and wellbeing. Our training and events provide powerful, transformational learning experiences which change the way people work, including leadership development, team development, communication and interpersonal skills, creative thinking and wellbeing related topics. I also help organisations to plan and run creative, exciting employee events such as team awaydays, staff conferences, and wellbeing events. I believe that people learn best when their body is relaxed, their mind is open, their heart is warm, and their spirit is free. To achieve this, I use accelerated learning principles, creative techniques, and a hands-on approach, and make sure the training is lively, fun and colourful so that people participate more, learn better and are inspired to put their learning into practice. I draw on nature, art, music, and holistic approaches to inspire and engage others. I have also created a range of free resources for trainers/training managers covering topics such as improving vocal projection, using all the senses in learning, what makes a venue brain-friendly, what food aids learning, and using nature to help people learn. I love being outdoors and consider a connection to the natural world as essential for wellbeing, creativity, and inspiration. I also sing and play guitar in an Americana band and help organise several music festivals in and around Somerset. Is Lack of Connection Hurting Your Training Business? Isolation poses an increasing risk for small business owners and freelancers. As humans we need connection, belonging and ‘pack’ to hang with – statistically, we do not survive well alone. The number one challenge we face as freelancers or business owners is mindset. It impacts on how or if we show up, what we expect to happen, where we focus as well as how we actually behave. Prolonged isolation – including working alone, alters the way we think and behave. This session is about connectedness. It will shine a spotlight on how you work, and where isolation – or working alone, may be detrimental to your business and your wellbeing. Some of the neurobiology around connection and how to develop healthy habits. How to combat common challenges of isolation, things like imposter syndrome, playing small, procrastination, distraction, creative block – have you found yours yet? The power of belonging over fitting in. How to ensure you have a robust plan for staying connected. One of the Founding Members of Trainer Talk, Lynda Holt is also the award winning CEO of an international consultancy & training business. She is a champion for the creative, the committed and the courageous. Her message is unequivocal, ‘show up, be brave and do what you believe in’, and Lynda has helped 1,000’s of people to make their own impact – big or small. 17 years as an entrepreneur has taught Lynda that it is purpose that keeps us going in tough times. After a lot of conversations and coffees, Lynda’s research delivered the following; we mostly get in our own way! With this in mind, she works with experts, leaders & business owners enabling them to get clarity about what matters to them and then to do something about it. Lynda has written a number of books on mindset, leadership and business development; she has been featured on BBC radio, local business radio, in industry magazines and interviewed for a number TV shows including Panorama. She is a sought after international speaker, a board member of Inspired Impact and has served as a trustee for charities supporting disadvantaged and disabled young people. Lynda is also a big kid who loves exploring, adventuring and being awestruck. She believes we can all do amazing things if we just get brave enough to start! I hear people say time and time again, ‘I wish I could sound different’. Well, good news, just like any musical instrument, you can change the way you sound. I’ll run practical demonstrations teaching you how to identify and control each element of your voice and learn how to change it when needed. People always love top tips and will certainly go away with a range of tips on how to keep your voice healthy, strong and clear. I have been a Speech and Language Therapist for 17 years and working in the NHS, in independent practice and as a developer of voice apps. My area of expertise is voice and I love teaching people about voice production and helping them to discover and control their own voice. I help people to learn how to look after their voice to ensure it is in the best condition. The most recent app I have developed was in conjunction with 2 of the world’s leading vocal coaches, Dr. Gillyanne Kayes and Jeremy Fisher. The One Minute Voice WarmUp app was created to help people exercise their voice and keep it in peak condition from the comfort of their home. Life feels so overwhelming nowadays with our busy lives, all the digital technology and that seemingly ‘always on’ culture. I’m on a mission to help business owners and leaders to be more productive, organised, healthy and happy doing what they want to do, rather than what they feel they should or need to do. About: Jo works with business owners and leaders to improve their productivity and wellbeing, in these days of overwhelm, whether that be physical, mental or digital, using her POWER to Live More 5 Fundamentals of Simplify, Systemise, Share, Self Care and Sustain. wellbeing, which she believes are interlinked in a lovely virtuous circle. Not niching your business? So how’s that going for you? Niching your business is about getting clear focus. If you were a darts player would you like to be aiming at 6 dart boards or just one? Niching your business will help you focus your mind, your marketing, your budget and make 2018 a clearer, more productive and profitable year for you. With over 25 years working in marketing and advertising with some of the World’s top brands such as Nike, Coca Cola, Porsche, Sky TV and Wilkinson Sword to name but a few he is also an international keynote speaker offering business and marketing advice with a good portion of motivation and humour thrown in. Simon is a branding and design consultant working with coaches and consultants from all over the globe helping them to build profitable and powerful brands. Simon is also the founder of One Planet One Place inspiring people to escape the busy world, become present and fall in love with life again. Simon has also just setup the global initiative #5ThingsClear which is to empower and inspire people to look after the environment by reducing litter and waste. Business is like driving a car. Put your foot on the accelerator and you can pick up new leads and clients when you know where to focus your marketing efforts. But what happens when you get busy, go on holiday or get sick? Who keeps the foot on the pedal during these times? Without you in the marketing driving seat each and every day, it’s easy for your leads and prospects to forget about you and you start your next month with an empty diary and a slight panic about cash flow. And whilst you probably don’t have (nor do you need to have) a Marketing Manager working on your business full time, you need to have a system working away in the background to do it for you. Karen is known as The Business Catalyst. She simplifies business for experts, coaches and trainers who are being sucked into the vortex of online marketing and struggle to create consistent growth. Building her own business around her family has been integral to everything she’s created over the past 13 years and with the right tech, team and marketing systems in place, she firmly believes you can create profit and growth on your terms, too. Find out why the thing that you love the most about working for yourself is the very thing that is sabotaging your success! If you look up any successful entrepreneur out there, you will find that all of them, without exception, when asked how they came to be so successful, will reference some form of accountability that they leveraged in their life or business intentionally. You see, we ALL need accountability, because without it we tend to let ourselves off the hook and when we have it, we get MORE done and FASTER – and let’s face it, ultimately, we get PAID on what we get done! So, are you working hard and putting in the hours and whilst you’re getting somewhere, you’re not necessarily getting where you want to be? Well, firstly, you are not alone and secondly, the reasons for these poor results are very simple to fix, but only when you have the tools available to you. The good news is that in this masterclass, Tamsen Garrie from enACT will share those tools with us! Ditching a successful management career in 2002, Tamsen moved to Melbourne, Australia where over 4 years, she re-trained in Psychology, Clinical Psychotherapy and Hypnotherapy and Conflict Resolution. Moving back to the UK in 2006, Tamsen embarked on the journey of self-employment. She set up her own Clinical Practice and spotting the need to build her network, she joined 4Networking, then a small aspiring business network in the South West of England. Over 18 months, Tamsen used the 4Networking marketing platform to build a successful clinical practice which she took from start-up to an associate model in just 18 months. Meanwhile, she developed the 4Networking business in South Wales from one business networking group to a Region of 16 groups in just 8 months. Tamsen was asked to join the board of 4Networking as Network Director for the UK in August. It was the powerful combination of corporate HR and operational management, strong leadership and an inherent understanding of people that enabled her to develop the infrastructure, including the leadership team and the systems, processes and training to enable the growth of 4Networking from that small local business network into the national business that it was when she sold her shares in 2011. She went on to write the landmark book THE ACT OF ATTRACTION IN BUSINESS and to develop numerous business growth programmes, including her online programme TWELVE STEPS TO TRACTION and her unique business growth system, THE TEAM ALIGNMENT METHOD and the business growth platform enACT. Tamsen has since written for many business books and both online and offline business publications and is often invited to speak at business growth events all around the country. Her experience working with thousands of businesses, training hundreds of leaders and developing dozens of teams has resulted in a thorough understanding of the many challenges that are familiar to business owners and this coupled with her engaging communication style and her ability to work with all types of people makes her uniquely placed to work with businesses to develop the Vision, the Mindset and the Strategy to enable both personal and business success. 360 Feedback – Old Dead Tool or Brave New World? In his fast-paced and fun session, Alan will first give you a brief, entertaining and provocative set up for his talk. He will then give you a small group work on the title topic and let you draw ideas together and sharing useful outcomes. Alan will then give you an exciting feedback exercise to finish with! 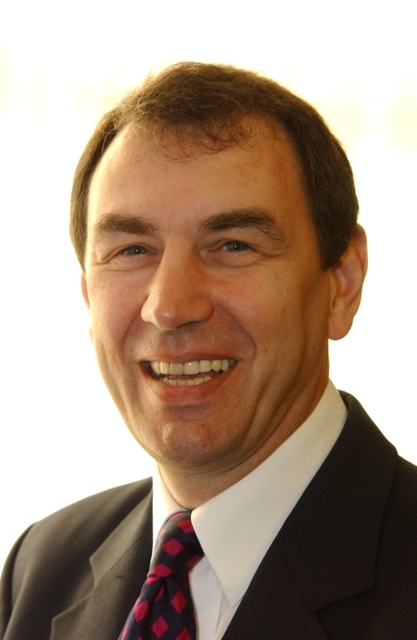 Alan Sears has over twenty years experience in the development of management and leadership skills. He is a charismatic presenter with the knowledge and practical experience of leading and managing large and small teams in complex and competitive environments. In 1996 Alan took a sabbatical to join the yacht Toshiba Wave Warrior in the BT Global Challenge round-the-world yacht race. The race was used as a case study of teams and leadership in dynamic and challenging environments. Toshiba finished second and whilst on the race Alan was commissioned to write a book based on his experiences. Returning from the race Alan used the experience to focus his work on the assessment and development of high performance behaviours in executives and top teams. Alan has worked across a wide variety of sectors: with large corporates and blue chips and with much experience in the public sector and local government. He has worked extensively in Financial Services and in the Pharmaceutical sector, in Construction and Property and with a wide variety of household name clients in other sectors including the NHS, Sport England and Somerset County Cricket Club. He has global experience having designed and led workshops and training programmes on every continent except Antarctica. Building on his work as a consultant Alan is a public speaker, a published author and a personal teacher and coach. He has worked with board members, chief executives and senior partners in a variety of industries. Are you looking for new ways to increase engagement and boost participation in the training room? Fed up with the same old handouts, PowerPoints and flip chart lists? Discover the joys of working visually and learn quick, easy ways to incorporate hand drawn graphics into your existing training programmes. You’ll leave bursting with ideas for your next presentation, workshop or training session. Emer O’Leary is an experienced graphic facilitator and trainer who is passionate about using visuals to draw out ideas, boost learning, and increase participation. She first learned about hand drawn graphics when studying Person Centred Planning and went on to train in the Fundamentals of Interactive Visuals with mentor Christina Merkley (one of the early pioneers of working visually). Emer is a skilled trainer who incorporates working visually into her training design and delivery. As well as designing training in the areas of independent living, goal setting, self employment and more, Emer also trains fellow trainers, facilitators and presenters on the art of working visually. Her services also include graphic recording (live capturing of key nuggets of information with words and visuals) and custom illustration. Maximise your Personal Brand to Maximise your Business. Become more visible, more memorable and ultimately more successful by taking control of your Personal Brand because, like it or not, you have one. It is what people say about you when you are not in the room. Don’t leave it to chance! A strong Personal Brand is becoming increasingly necessary in the competitive world of business today and a poor one can actually damage your business. I will share with you what comprises your Personal Brand and some easy steps that will give you a head start and get you noticed. For the right reasons! Jane Brook divides her working life between her roles as Regional Manager for House of Colour, an international image consultancy business, and her career as a management accountant within the manufacturing industry. Jane combines over 25 years experience in business with her skill as an Image Consultant to create fun and interactive learning experiences. Jane works with teams and individuals at all levels within business and helps them achieve congruence between their personal brand and their career. Jane’s clients range from senior management of international companies through to sole traders. She has a particular interest in working with graduates as she has two daughters who have benefitted greatly from understanding how to use colour and style as part of their Personal Brand. Have you been thinking of using Twitter to promote your training business? Or are you already using Twitter but not too sure how to use it effectively? Nicky Kriel, who is a Social Media Coach, Trainer and Author, will inspire you to either get going or to use Twitter more confidently. She has helped hundreds of small business owner to use Twitter effectively as a marketing and public relations tool. This training is aimed to get you excited about Twitter whether you have a Twitter Phobia or simply want to use Twitter better. You will get the opportunity to ask Nicky questions. Nicky Kriel is passionate about inspiring, educating and empowering business owners to use Social Media to grow their businesses. She uses her background in corporate marketing to help companies integrate social media into their own marketing and business strategies. As a Master NLP Practitioner, communicating is her strength, teaching people to engage with the ‘social’ aspect of social networking; it’s not all about tools and technology, but about people and relationships. Based in Guildford, she has worked with businesses ranging from solopreneurs to multinationals (including for a crown prince), helping them build, develop and implement relevant social media strategies. As a self-confessed technophobe, jargon is minimal, with practical advice and guidance being the focus. Nicky has published a book, “How to Twitter for Business Success” with a series of further titles planned, and runs online courses and webinars on social media. She offers bespoke in-house training. Julie and Tony run their own Coaching and Training business: Academy of High Achievers Ltd based in the UK. As experienced trainers, coaches, and professional speakers, Julie and Tony are particularly passionate about helping people to unlock their true potential using Neuro Linguistic Programming (NLP), DiSC® behavioural profiling and Havening Techniques. Julie and Tony believe that human beings have magnificent inner resources, available to be directed into world-class performance and achievement and also in the direction of living a happy, purposeful and fulfilling life. They know that all too often people ‘get in their own way’ so that their true greatness is not being fully accessed and expressed in their communication and behaviour. Julie and Tony work with individuals and teams in large and small organisations, helping people to get out of their own way and step up their performance and also to become master connectors and communicators. They also teach other coaches, trainers, therapists and other people-development professionals to do the same through running NLP, DiSC® and Havening certification courses. The reason they’ve chosen to live and breathe what they do for a living is that they feel immense satisfaction from seeing people ‘light up’ and shine and really connect with who they are at their greatest. How do you get your marketing working for you to get you from A to B? We are all busy working in our business. How do you get the time to ensure you are working on your business and that your marketing can work for you when you are busy. Is your message clear for people to understand and how is it being passed on and more importantly how is it being received. Is this message strong enough to be passed on like a never ending relay race to generate business for you. Jenni started Chrysalis Business Support in 2010 to help business owners create the right marketing strategy for their business. Growing up her dad was a finance director and she remembers him discussing the marketing departments of his companies and how they appear to be wasting money. Little did her dad know that she wanted to work in Marketing! Since then she has been determined to ensure that a marketing budget is used wisely and works towards the goals for the business and offers a great return on investment. Obviously two key areas of this are to create great systems and processes to streamline the marketing – little investment/great returns and also in word of mouth strategies – the most cost effective way of delivering business. Jenni has now worked with a number of business owners and professionals to develop their skills with tangible results being delivered into their business. Since starting the company in October 2010 she has worked with a number of business owners throughout the UK and has regular speaking engagements within the UK. She was privileged to be invited to speak at an International Conference in San Francisco in January 2012. 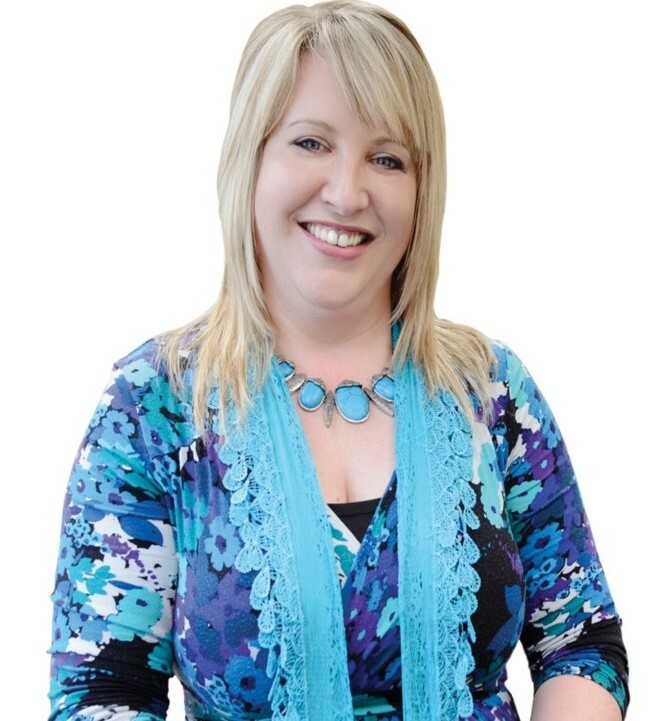 Jenni is passionate about coaching and training business owners in business developments so they are able to deliver the results for their business. A Chrysalis is nurtured and developed so that it is able to become a butterfly and soar and that is how she aims to work with her clients. She believes she can offer a combined service to companies looking to develop the strategy and skills needed to ensure they work smarter and not harder. Simon Jordan is a marketing and branding consultant, the International Amazon 5 star rated author of How to Sky Rocket Your Business (without burning your fingers). Founder of One Planet One Place.com the highly acclaimed online show and community, inspiring people to make a difference in the World. He teaches coaches, authors, speakers , consultants and trainers the same explosive strategies that he used to take his business from local to global in just 7 months and 6 figures and how to become a key person of influence. With over 25 years working in marketing and advertising with some of the World’s top brands such as Nike, Coca Cola, Porsche, Sky TV and Wilkinson Sword to name but a few he is also an international keynote speaker offering marketing and branding advice with a good portion of motivation and humor thrown in. Simon is also a marketing and branding mentor to thousands of business owners worldwide via his mentoring groups, TV, radio shows and his online Business Academy.